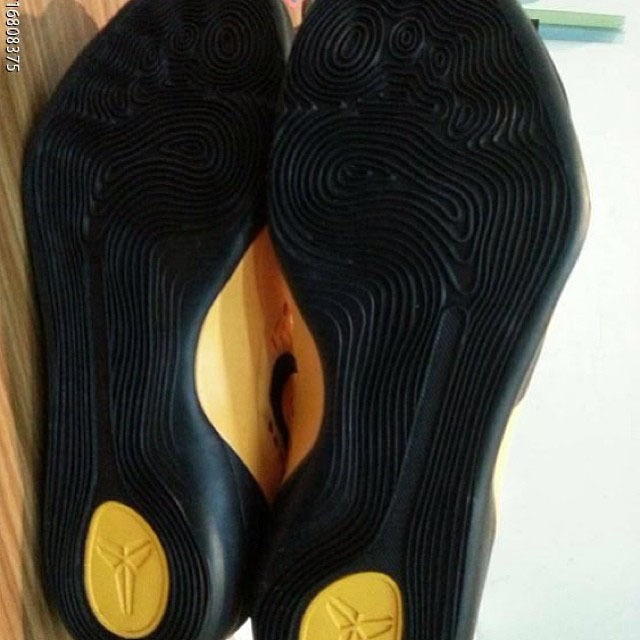 Kobe fans clamoring for a low-top release can rest easy. 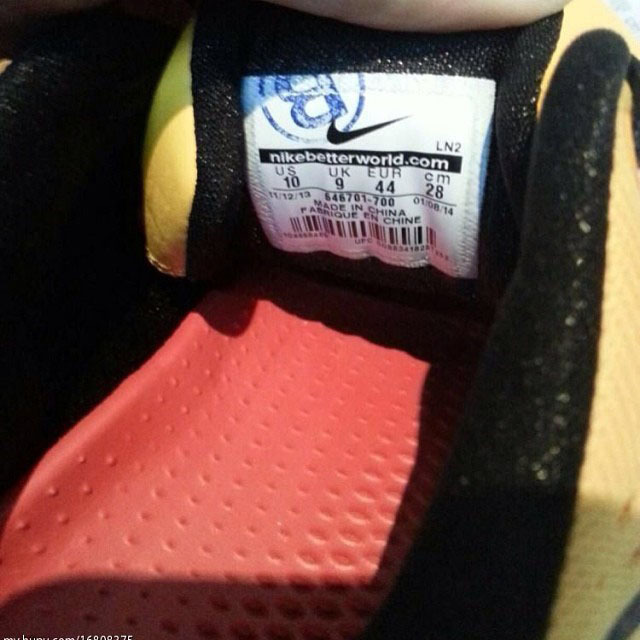 Here's your first look at the upcoming Nike Kobe IX EM. 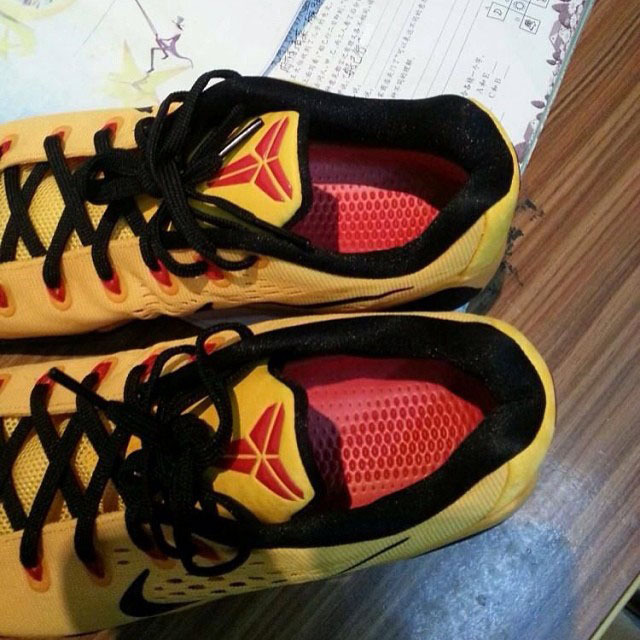 The Kobe IX EM brings Engineered Mesh back into the fold, with additional support provided by Flywire cables. 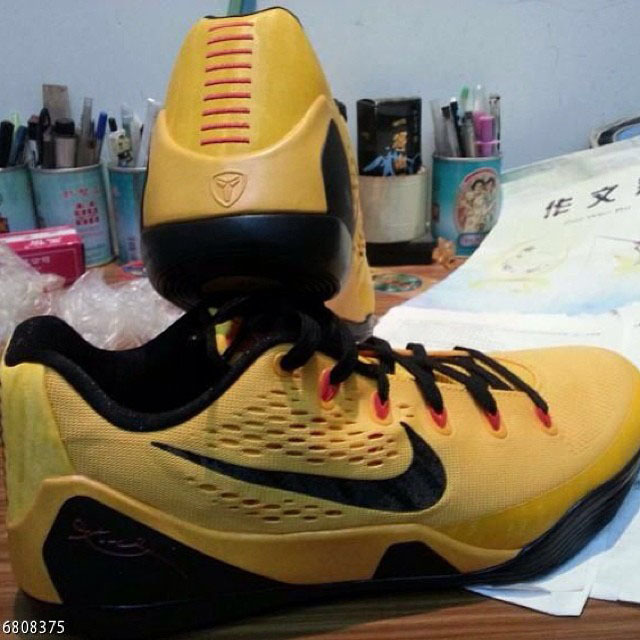 Below is a look at a colorway already being referred to as 'Bruce Lee' by collectors. 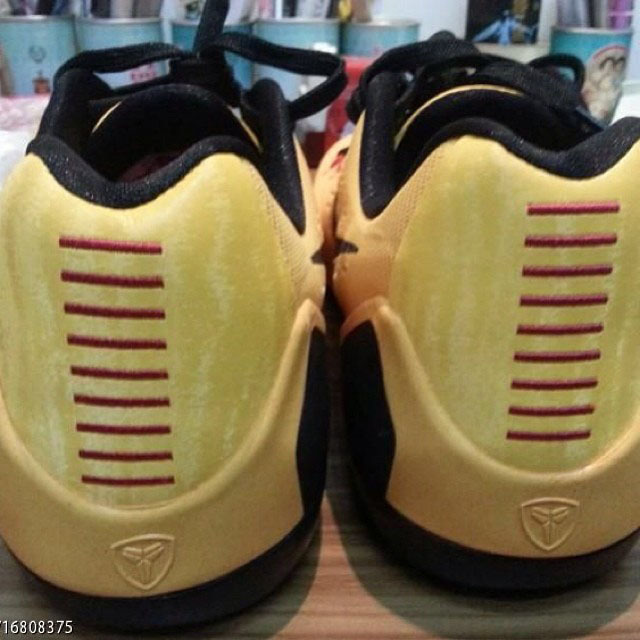 The shoe sports a gold base with crimson hits on the tongue logo, Flywire and stitch pattern on the heel. Black works the laces, inner lining, Swoosh branding and outsole to complete the look. 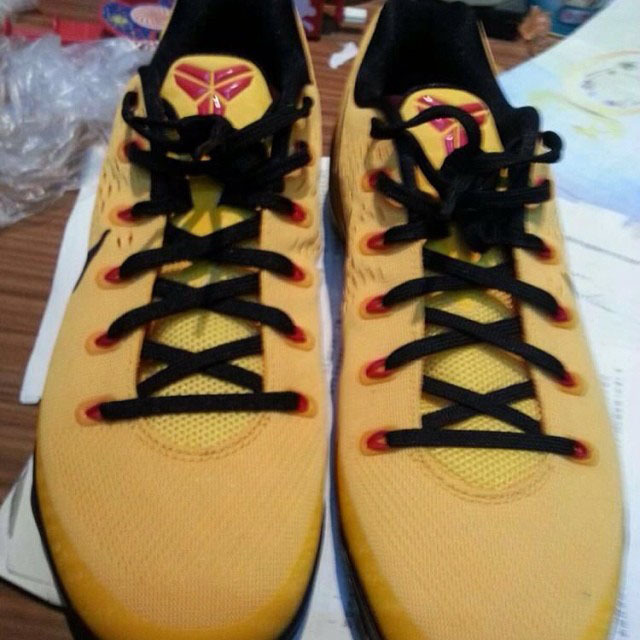 Expect the 'Bruce Lee' Kobe IX EM to hit retail on Saturday, March 29 for $160. Gradeschool sizes will also be available.